Twenty four board directors of MediaPro, Romania have all been arrested on suspicion of tax evasion and money laundering, while major shareholder and billionaire heir to the Estée Lauder fortune, Ronald S Lauder has not been arrested. MediaPro are regarded in Romania as the Pinewood studio equivalent having been founded in the 1950’s and been responsible for a string of successful movies. According to Romanian investigators the information they have is that from 2009 to 2014, the board of MediaPro was responsible for hiding cash through fictitious invoices, a large proportion of which was transferred to an unnamed organiser of the money laundering scheme. Of course this sort of allegation would need to be proven in court and this is likely to be a very lengthy process but investigators are convinced that they will be able to amass enough evidence to bring the case to trial. Meanwhile the head of the company, Ronald Lauder, has remained the major shareholder of the company, despite resigning from the board in March 2014 shortly after the departure of his long-term business partner Adrian Sârbu, who was placed under arrest on 3 February 2015. Mr Lauder has a $3.9 billion fortune based around his ownership of 33 other TV companies in Europe and the fortune acquired by his parents who set up leading cosmetics brand Estée Lauder. He is a well-known businessman in Jewish communities; particularly for his philanthropic work however this does not stop him having critics. 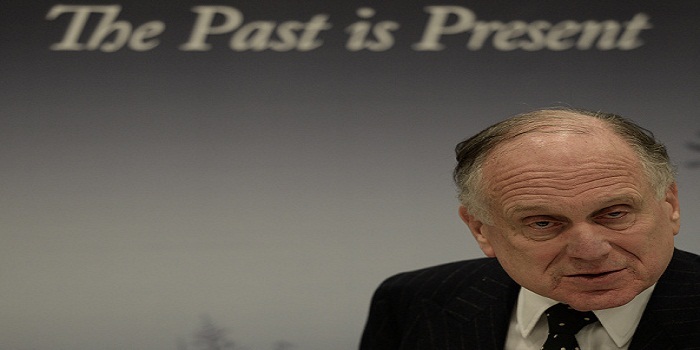 Public record shows that Mr Lauder withdrew tens of millions of dollars from the company in 2014, causing widespread outrage among the Romanian public and media. Ironically as MediaPro are massively influential in Romania, particularly with the press, the story is largely going unnoticed by many in the country. Investigators are keen to understand all the people who were involved in this alleged money laundering operation and Romanian authorities are still pursuing the investigation. In January they arranged for the continuing detention of eleven Company executives implicated in this case.